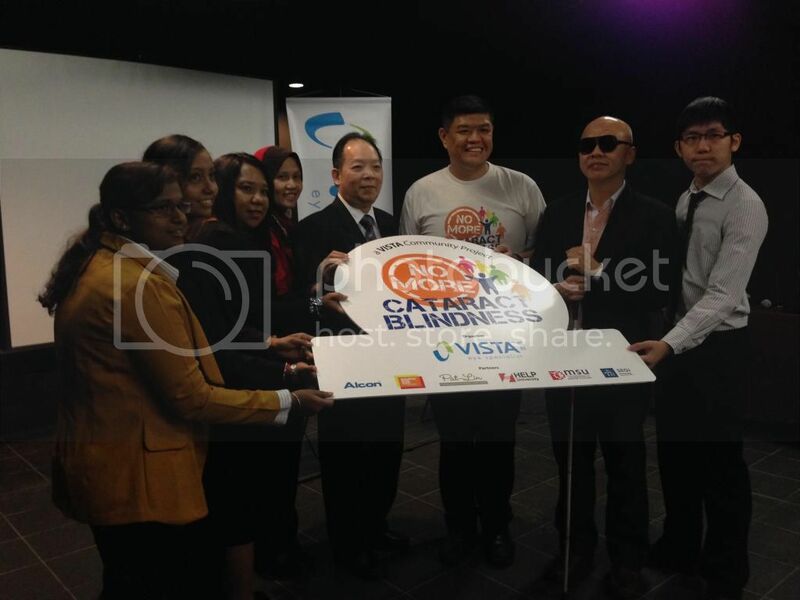 The fight against cataract as the leading cause of blindness in Malaysia begins a month ago as VISTA Eye Specialist (VISTA), together with supporting partners and participating universities launched the NO MORE CATARACT BLINDNESS campaign in conjunction with World Sight Day 2014. 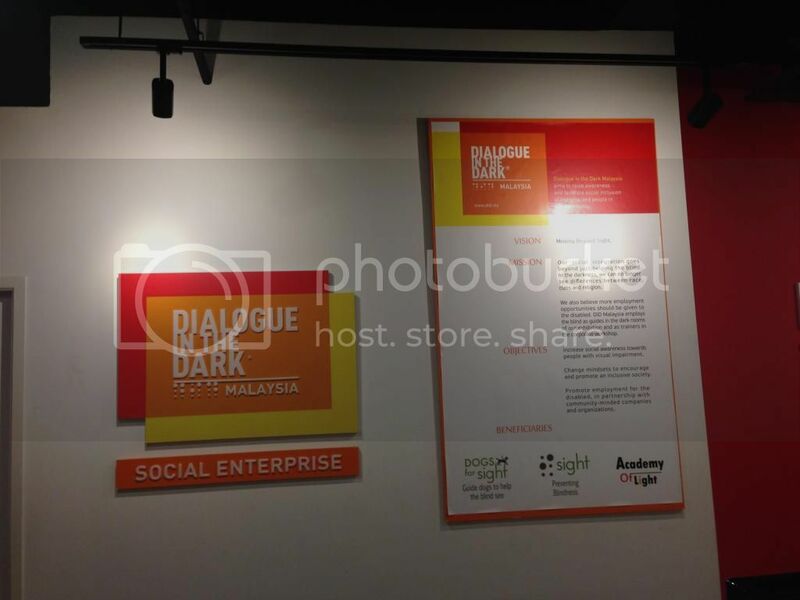 The launch of the campaign was held at Dialogue In The Dark at The School, Jaya One. I was there about 1 and a half hour early and decided to hang around at Jaya One. I wasn't too sure where is Dialogue in The Dark located until a guy who worked in one of the shops in The School showed me the way. The concept of Dialogue In The Dark is simple. Visitors are led by blind guides in groups through specially constructed dark rooms in which scent, sound, wind, temperature and texture convey the characteristics of daily environments – for example a park, a city, a boat cruise or a bar. Each of the media who attended that day would be given the opportunity to experience the total darkness for 15 minutes to half an hour. This experience serves as a reminder to never take sight for granted and to ensure regular eye screening. Kicking-off the initiative at Dialogue in the Dark (DID) Malaysia, were Mr Lim Boon Siong, Founder and CEO of VISTA; Dr Aloysius Low, Chief Consultant Ophthalmologist, Cataract and Refractive Surgeon; as well as campaign partners, Mr Stevens Chan Kum Fai, CEO and Founder of Dialogue in the Dark Malaysia (DID); and Miss Patricia, Managing Director of Pat-Lin Communications. Student representatives from the three participating universities – HELP University, Management & Science University (MSU) and SEGi University were also present to support the fight against cataract; a demonstration of VISTA's role in mentoring young Malaysians and driving civic consciousness on cataract and its impact on people's lives. 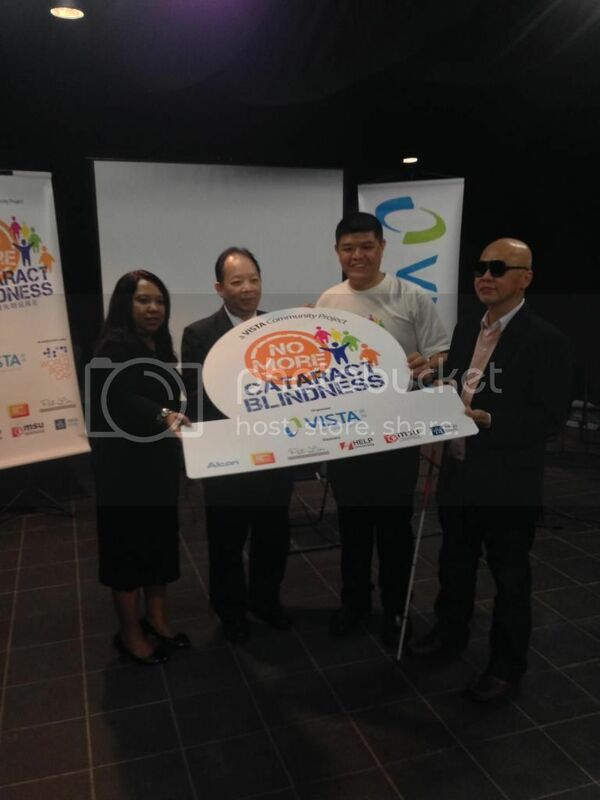 The 'No More Cataract Blindness' campaign is an important and necessary initiative in eliminating cataract as the #1 cause of blindness in Malaysia in line with the Vision 2020 Global Declaration plan and VISTA's aim to bring people's vision from 'blur to clear'. Through the campaign, it strives to not only increase public awareness on cataract and its treatment, but also encourage active participation from various parties in the fight against cataract, particularly from young Malaysians. Cataract is responsible for 39% of all cases of visual impairments in Malaysia, making it the leading cause of blindness among Malaysians. The fact that people are still experiencing loss of vision because of cataract is totally unnecessary, especially considering that cataract blindness is preventable. This shows a great need for increased awareness of what it is, how it can impact people's lives and the treatment options available. People need to know the importance of regular eye screenings and early cataract surgery to minimise complication and ensure healthy vision. Nowadays modern cataract surgery is one of the safest procedures and thanks to the many technological advancements and innovations over the years. As part of VISTA's Corporate Responsibility (CR) programme, the No More Cataract Blindness campaign will offer public screenings for cataract and other eye diseases at its family carnival at various VISTA Eye Specialist Centres. 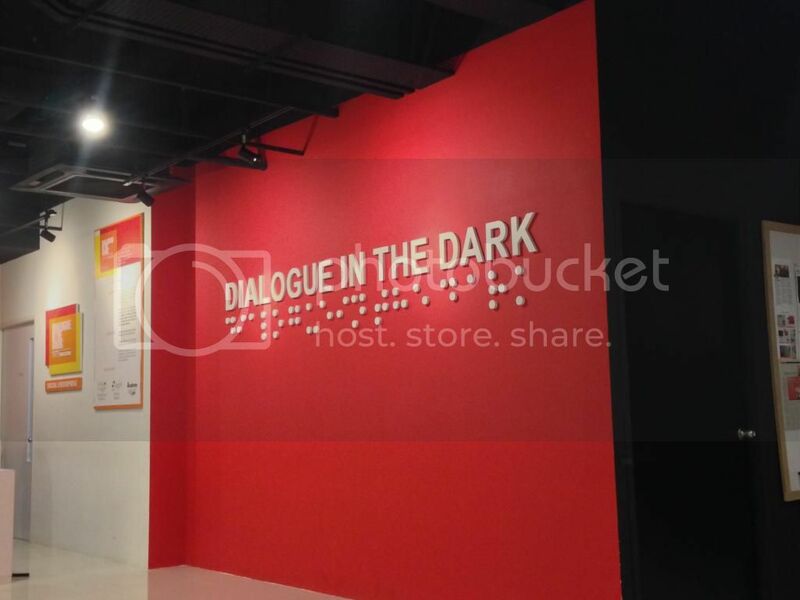 During this time, a mini DID will be set-up at its Centre at The Curve where patrons can undergo the experiential session with blind guides. The launch also highlighted the screening of 'Are You Blind', a short film produced by Jason Lim Productions and supported by VISTA. 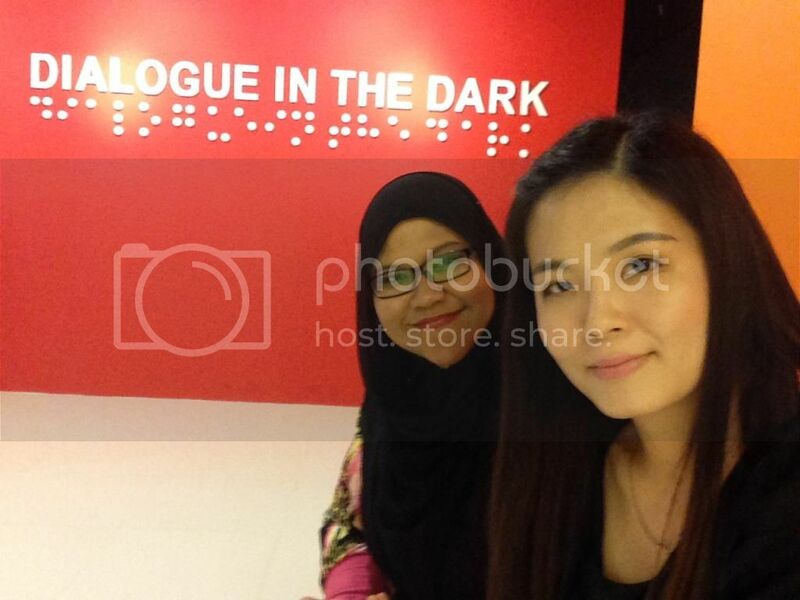 It powerfully reflects the various challenges a visually impaired person can face in Malaysia, emphasising the need for increased empathy and public awareness of the condition. 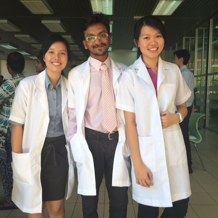 The No More Cataract Blindness student Community Project will run over the course of five months, culminating in an Award Ceremony to be held in January 2015. It's my pleasure to attend this meaningful event on that day. I experienced the total darkness together with Innanie and I began to appreciate my eye sight after experiencing darkness for half an hour. Never take your eye sight for granted and remember to go for regular eye screening. 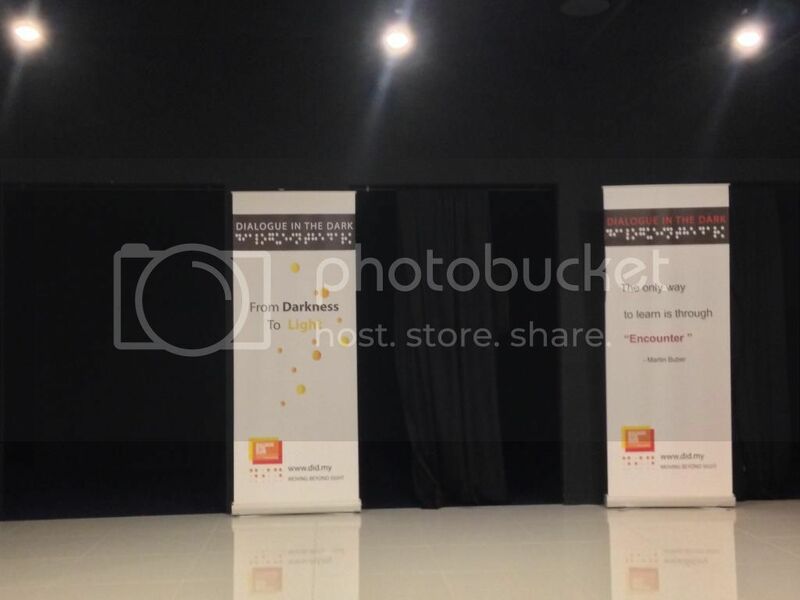 A photo of Innanie and I during the launch. On the lighter note, I recently found a website which can tailor my online shopping need! Introducing CupoNation, the most popular coupon publishing website that aggregates deals and vouchers for numerous Singapore and global e-stores. Cuponation caters to bring the best of all deals, fresh vouchers and discounts from the most trusted online retailers in Singapore including Zalora, Asos, Qoo10, Expedia, Singsale, Hotels.com and etc. You can get different rebates while using the coupons at CupoNation on their specific online retailer stores and also discover a reach of various retailer deals which offer you numerous options to save big on your every online shopping.